Do you want to track anchor links in Google Analytics? Many WordPress single page themes rely on anchor tags for navigation. For Google Analytics, these are all just a single page, which makes it hard to get meaningful statistics about the content viewed. In this article, we’ll show you how to track anchor links in Google Analytics. Why Track Anchor Links With Google Analytics? Turning on anchor tracking is greatly helpful if you’re using a parallax or a single page theme that use anchors tags in the main menu, instead of separate pages. If you created your WordPress site using a single page theme, you’ll lose the ability to track page views because the entire content of your site is published in a single page. If you want to identify how your visitors interact with your site and what content they view during their visit, you’ll need to track anchor links with Google Analytics. Because the basic Google Analytics setup doesn’t allow you track anchor links, you’ll need to use a plugin like MonsterInsights to enable it. 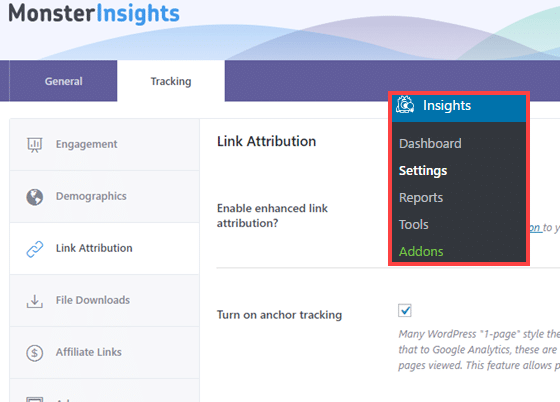 With MonsterInsights, enabling anchor links tracking is super easy. All you need to do is select a checkbox in the Settings page. 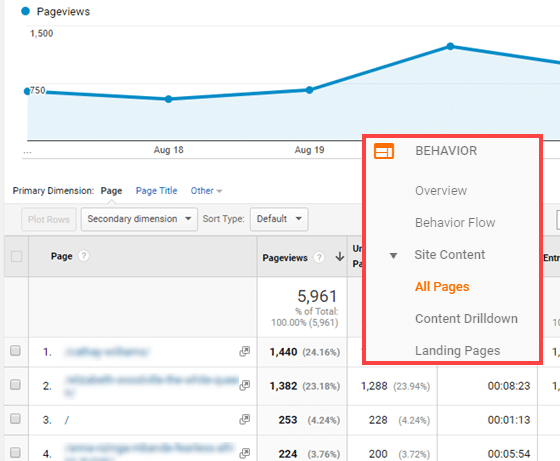 Let’s take a step by step look at tracking anchor links in Google Analytics. You’ve successfully enabled anchor links tracking in Google Analytics. If you want to determine which call-to-action link in a page is getting the most clicks, you need to enable Enhanced Link Attribution in Google Analytics.